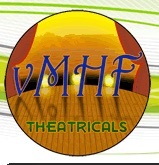 vMHF Theatricals presents three staged readings of Caldwell’s Bomb during the 2015 Midtown International Theatre Festival. WHERE: The Main Stage of the Davenport Theatre, 354 W. 45th St. in New York City. WHEN: Tuesday, July 28, Thursday, July 30, and Friday, July 31. All the readings begin at 2PM. This is my first collaboration with Gerald vanHeerden, MITF’s Artistic Director for Plays and resident director of Break A Leg Productions. I met Gerald when he chose Caldwell’s Bomb as a play he might like to develop at Theatre Resources Unlimited’s Writer-Director workshop in April. Go to Caldwell’s Bomb to learn more about the play and its production history. Posted on June 24, 2015, in Performances and tagged Caldwell's Bomb. Bookmark the permalink. 1 Comment. Bill congratulations! This sounds great. Have a ball with it.